Learn how to say phrasal verbs correctly so people understand you. Stress, but don’t stress out! 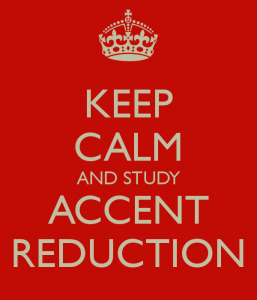 Keep calm and study Accent Reduction. Follow the steps below to learn how pronouncing phrasal verbs correctly will help you speak in a more Standard American Accent. 1. First of all, let’s review what a phrasal verb is. A phrasal verb is a combination of a VERB + PREPOSITION (or sometimes an Adverb). The preposition or adverb modifies, or changes, the meaning of the verb giving each phrasal verb a unique meaning. 2. Now, do you remember what WORD STRESS is? If you don’t, review our October 15th, 2013 post about Word Stress. When we stress a word, we generally elongate the main vowel sound in the most important word or words in a sentence. For example in the following sentence we would stress girl and English. She’s a nice girl and she speaks English. She’s a nice giiirl and she speaks EEEnglish. 3. So what does all this have to do with phrasal verbs? Hold on, let me explain. Native speakers use phrasal verbs very frequently, and as your English improves, so should you. The stress pattern for phrasal verbs is very important. He picked her up at 9:00. The mechanic tuned it up. She was just showing off. They backed it up on the hard drive. He is a high school drop out. He drives a pick up truck. My car needs a tune up. That is such a turn on! She is a show off. I didn’t have a back up. I lost all my work. 4. Now that you know the rules all you need to do is practice! It is possible to reduce your accent, but it takes a lot of focus. 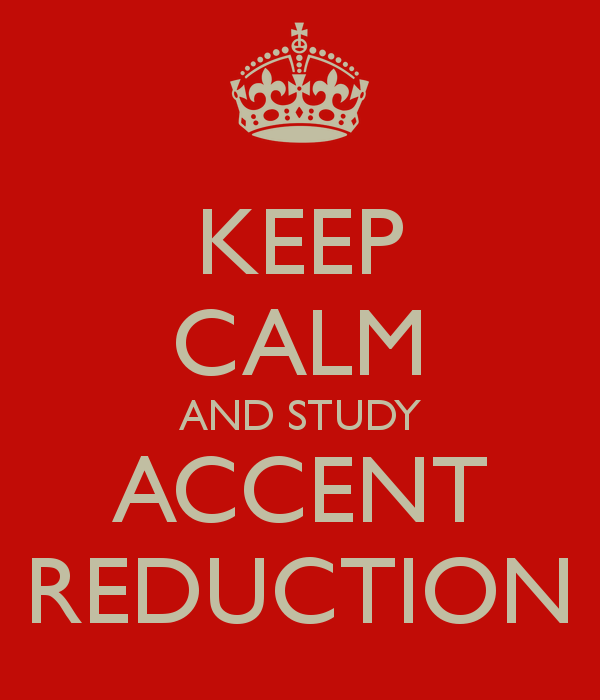 Studying accent reduction is as important as studying English grammar, reading, writing, and listening. If you are interested in making 2014 the year that you finally start speaking in a Standard American Accent, contact us. You can take private lessons with an Accent Reduction Coach or join one our group Accent Reduction Workshop.